A modern version of the paper China Ball used over the years in numerous productions, the Westcott Flex China Cube for 2 x 2' Flex LED Mat uses 1-1/4 stop white diffusion material to expand the Flex's coverage to 360 degrees, while rendering a very soft quality of light that's ideal for overhead use on a boom or grid, as a hairlight, or for round-table discussions. The cube comes with 4 removable black flags that can be used individually, as you would with the leaves on a set of barndoors, to limit the illumination of select areas. Alternatively, you can use all of the flags to create a soft pool of overhead light on a selected area. 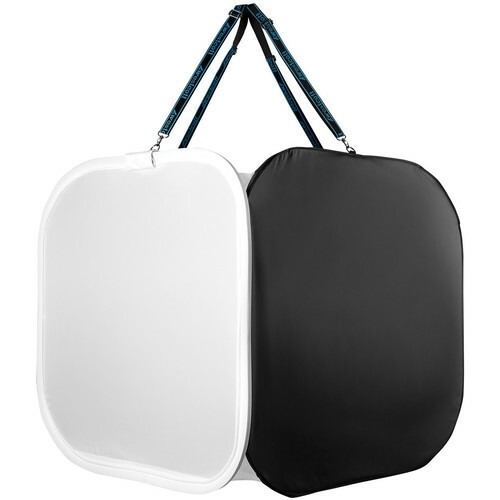 The China Cube has a collapsible design that allows it to fold down to a fraction of its open size and comes with an adjustable mounting strap and a case.